Biran served in the Air Force as a helicopter pilot, including commanding an operational squadron and retiring with the rank of colonel. In his last position he was responsible for cooperation between the Israel Air Force, the Navy and IDF ground forces. Biran served for almost two years as an external consultant to examine the use of the air space in the Israeli police forces. He then later he joined the Police and commanded for 8 years the helicopter unit. After retiring, he continued to serve as a volunteer pilot in the unit for 15 years. Biran Yakov (Brig. Gen. Ret.) is a graduated of the National Security College. 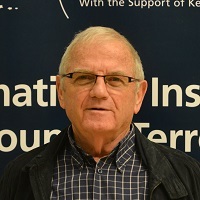 He holds an MA in Geography from the University of Haifa as well as an MA in Economics and Business Administration from Beer Sheva University.